......of the ones in yesterday's post. All of these flowers are in the front of the house. 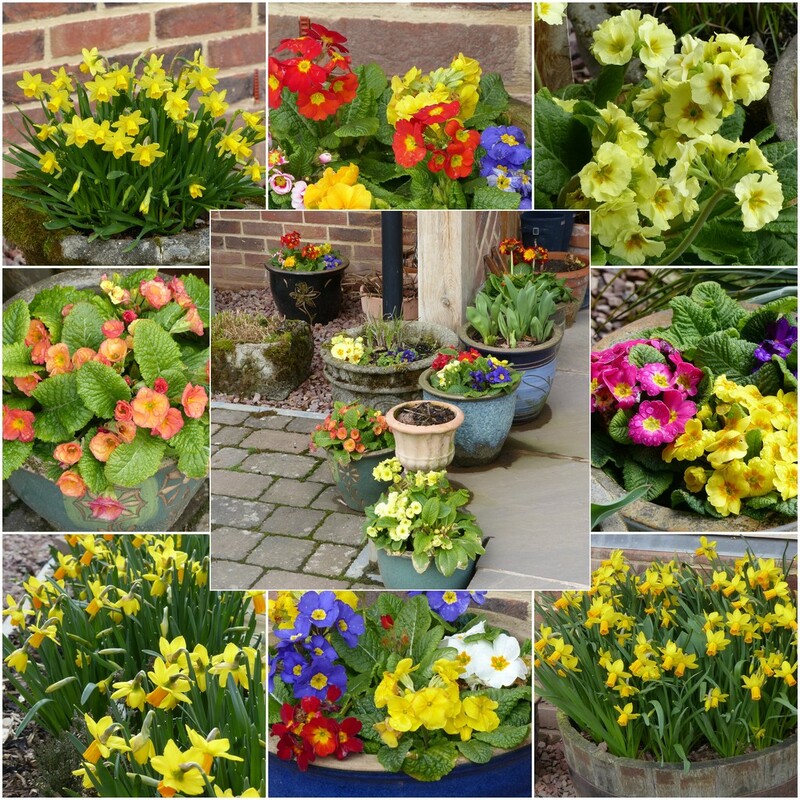 Isn't this just a brilliant Spring collage! Quite the green thumb I would say! They are beautiful and make me smile! What a great collection of flowers. Very colourful and cheery. Wow ...This is an impressive collection of gorgeous flowers! Fav! Beautiful collage, you have such a colourful garden. wonderful collection of potted colours! Each shot is so lovely, they make a gorgeous collage.